In a recent Foreign Policy blog entry, Paul Miller lays out a response to former Utah Governor (and Ambassador to China) Jon Huntsman’s comment that the US has given its “all” to Afghanistan. Miller compares the efforts there with previous wars in terms of blood and treasure. planning. 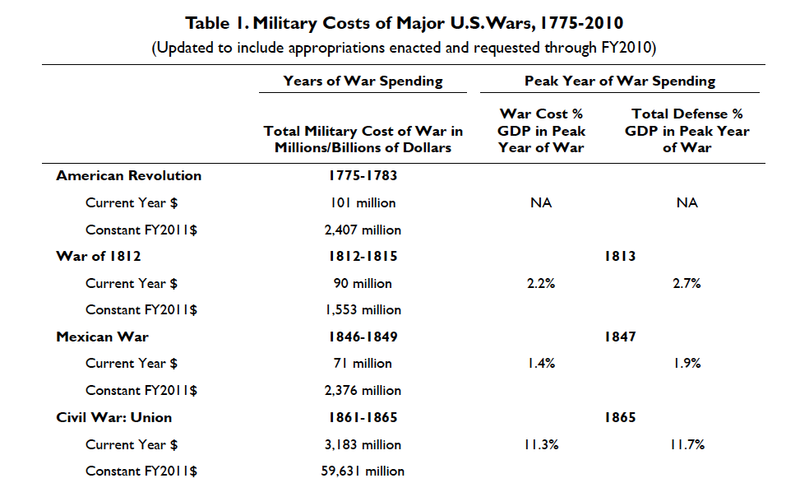 In terms of context, knowing generally how much past wars have cost the nation in terms of blood and treasure can help put a new scenario into a range of potential outcomes. In turn, this context can help identify constraints. 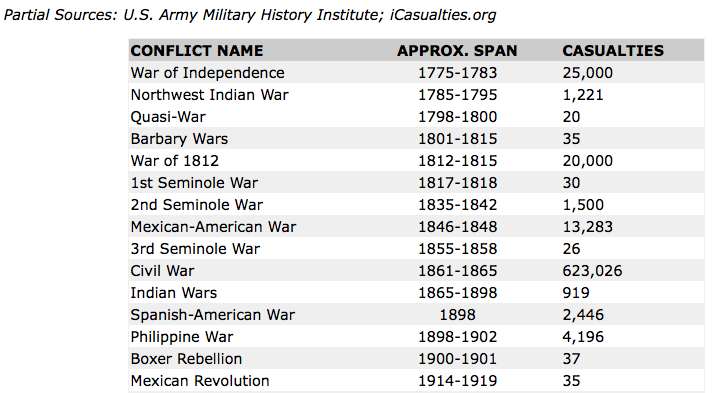 effort (as long as said conflict wasn’t existential, in which case the historical record doesn’t offer much guidance, even from World War II). 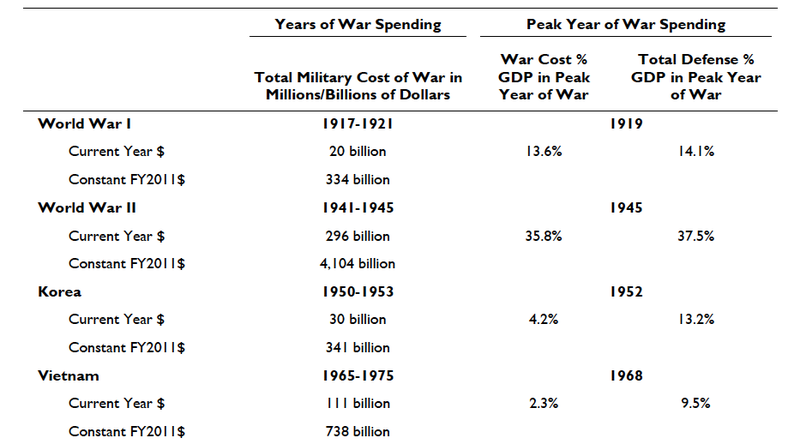 total/unlimited war effort against the Axis powers. Using these big picture constraints is an important part of the planning process.